Motorists planning on buying a car in the coming weeks may want to pay a visit to their local Skoda dealership. The manufacturer has announced the launch of a limited edition Octavia vRS. Based on the re-aligned version of the model, the vehicle comes with extra equipment worth £1,900 for an added cost of £750. 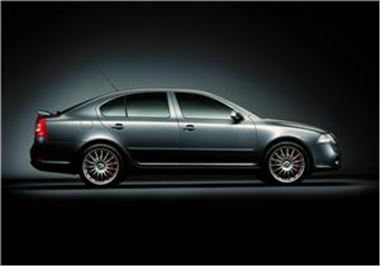 Skoda claimed this means the car is ideal for motorists looking for value for money. There are 500 examples of the model available and each has its production number stitched onto the seat. Product marketing manager Warren Richards said potential buyers would need to be quick. He stated: "Those looking for a stylish - yet affordable - driving experience should test driver the limited edition Octavia vRS today." Skoda has agreed to pay the VAT on the model, so prices start at £16,294.56. In other motoring news, the manufacturer's Superb model was recently handed the title of Czech Republic Car of the Year 2009.